The problem with this is finding it! It’s not in the snack section. It’s not in the meat section. It’s in the Italian section, sort of around the tomato sauces and things like that. Good luck. 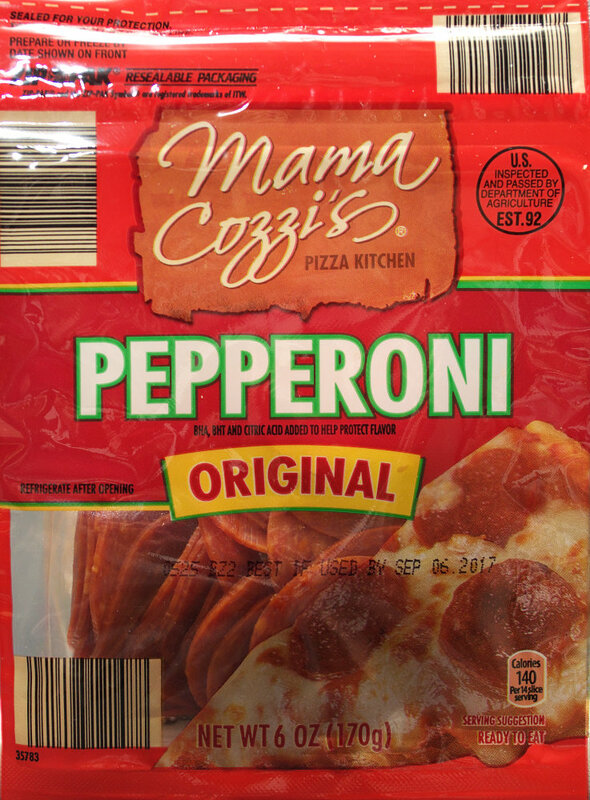 Once found, this is a reasonable pepperoni. 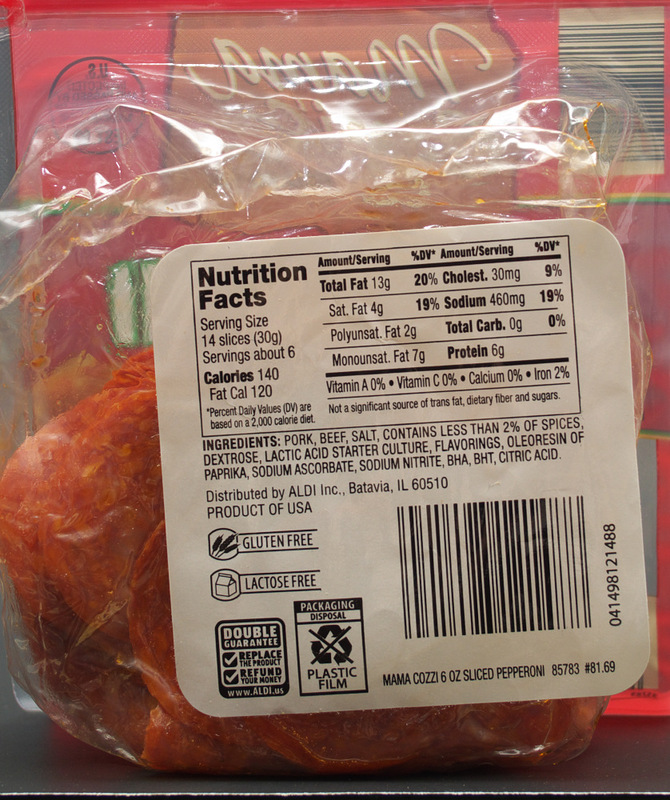 It’s very thinly sliced like most other pepperoni found around. The best way to get the most flavor out of it, is to slowly hold it in the mouth. If popped in the mouth, chewed and swallowed quickly, much of the flavor will be lost. As well as by itself, I also tried this on a homemade pizza. On the pizza it was a little overwhelmed. Perhaps a thicker cut would’ve helped. This entry was posted on 04/23/2017 at 19:02 and is filed under ALDI, Recipes, food, cooking and related items. You can follow any responses to this entry through the RSS 2.0 feed. You can leave a response, or trackback from your own site.